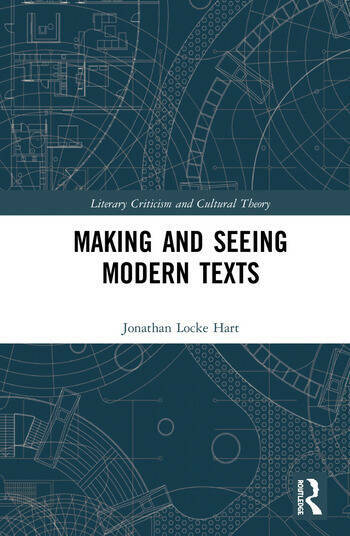 Making and Seeing Modern Texts explores the poetics of texts through a close reading and analysis across the genres of poetry, drama, fiction, non-fiction travel literature and theory. This volume demonstrates that prose, as much as poetry, share the making and seeing of language, literary practice, and theory. Genre, then, is presented as a guide that crosses multiple boundaries. This volume selects different ways to examine texts, discussing Michael Ondaatje’s early poetry and examining narrative in Philip Roth’s The Human Stain. The book examines images in poetry, narrative in fiction, prefaces in non-fiction, metatheatre in drama, and attempts to see the modern and postmodern in theory, all of which show us the complexities of modernity or later modernity. One of the innovations is that the author, a literary critic/theorist, poet and historian, takes his training in practice and theory and shows, through examples of each, how language operates across genres. Jonathan Locke Hart received his Ph.D. from the University of Toronto in English and a Ph.D. in History from the University of Cambridge. Dr. Hart is a Fellow of the Royal Society of Canada, and is Chair Professor of the School of Foreign Languages at Shanghai Jiao Tong University. He is also Director of the Centre for Creative Writing and Literary Culture and Translation. He has written over twenty books and edited others and contributed book chapters. A winner of many international awards, including two Fulbrights to Harvard and having served on national and international committees, including Fulbright and Killam, he has written over 100 articles and essays and has held visiting appointments at Harvard, Cambridge, Princeton, the Sorbonne-Nouvelle (Paris III), Leiden, UC Irvine and elsewhere and has given classes, talks, readings and lectures internationally.